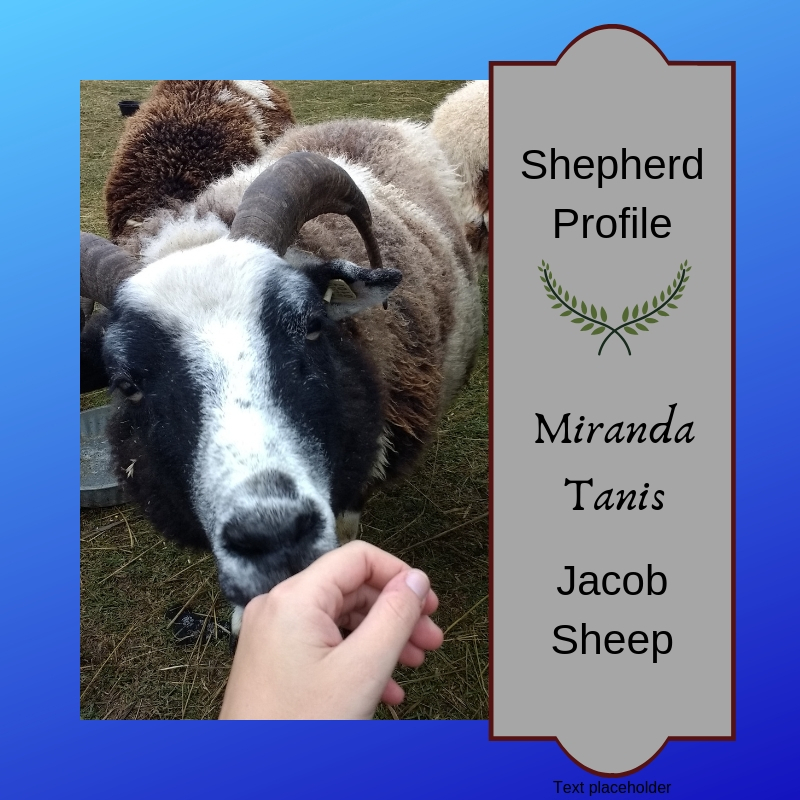 This is the third in a series of Q&As with Livestock Conservancy members who raise sheep or have raised sheep for wool. The opinions expressed by the shepherds do not necessarily reflect those of The Livestock Conservancy. Cathy Payne raised Gulf Coast Native sheep from 2011 to 2016 at Broad River Pastures in Elberton, Georgia, where she says, "summers are hot and humid. Winters are wet and mucky." Why should a breeder sell the wool from their sheep? If raising a heritage wool breed, it is important to make selection decisions based on the quality of the wool so you are knowledgeable about your flock and the value of the wool. If you do not select carefully, the quality of your wool will suffer. 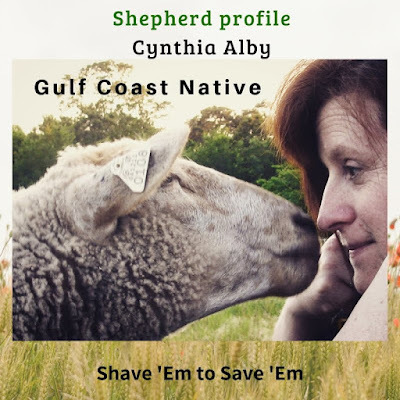 I raised Gulf Coast Native sheep which were used for handspun and hand knit clothing as early as the 1500s. While the wool can be processed at a mill, I chose to work with hand spinners. I discovered that the wool was very prized by them for its softness, ease of cleaning, and ease of spinning. I listened to their comments regarding sheen, crimp, staple, and color. I selected breeding lambs with those traits in mind and culled heavily for a meat market. I also took data on lambing, ease of lambing, mothering abilities, hoof health, and vulnerability to worms. I trained in Famacha so I wormed only as needed. Sheep that required worming more than once per year were culled. I learned out to skirt fleeces for better value to spinners and to get top dollar. Is it difficult to raise your sheep with an eye towards selling the wool? Why or why not? Not at all. It added much joy to my flock. I did need to modify my hay feeder to avoid hay and seeds falling into the wool. However, living in the south I would never coat my sheep. It is too expensive anyway. Why have you chosen to sell your wool as raw fleece, roving, yarn, etc rather than in a different form? Or why have you chosen to do all of the above? I sold the occasional fleece raw. However, I got more value trading to spinners. They would keep a portion of a fleece and return the remaining portion washed, dyed, and spun or washed and spun without dying. Some would make wool balls or soap sacks. It was more profitable for me to sell a finished product. More people knit than spin. What is one important thing you learned about sheep management as it relates to selling their wool? See comments above about keeping fleeces clean and culling hard. Docking tails helps keep the hind fleece clean. Long tails and scours will make a mess. Bottle lambs have a higher incidence of scours. What is one surprising thing you learned about coating your sheep -- or having sheep that are not coated? It can be a challenge to keep sheep clean but it is worth a minor effort. What is one important thing you learned about selling your wool? Never under price, and market to people who appreciate a premium product. I got $16 a pound for fleece but $32 for 300 feet of 2 ply yarn, dyed. At shearing, I kept all fleeces separate and labeled by the name of the sheep. When I packaged fleeces or yarn, they were labeled with the name of the sheep. Some customers would contact me annually to purchase “Luna’s fleece” or "Luna’s yarn." It was also a novelty to sell soap in soap socks with the name of and photograph of the sheep. Premium pricing! Are you a Livestock Conservancy member who sells your wool? Want to share your experiences? Email Deborah with your answers to the above questions, and you may be featured in an upcoming post. This is the second in a series of Q&As with Livestock Conservancy members who raise sheep or have raised sheep for wool. The opinions expressed by the shepherds do not necessarily reflect those of The Livestock Conservancy. Miranda Tanis raises Jacob sheep on Howard Knit Knacks Farm in Tuscola MI. 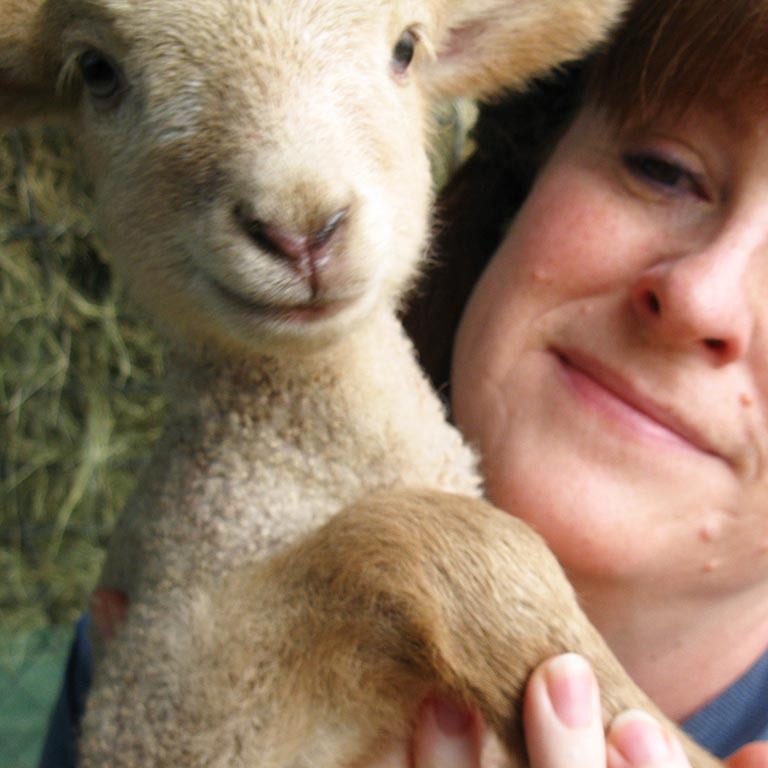 She has been a Livestock Conservancy member since 2009. Why should a breeder sell their wool? Not only to promote the many uses of their breed, but also to give another job to the animal. Fiber can be used as stuffing, mulch, spinning, weaving, felting, knitting and such. The use of wool is not limited to just yarn and fiber arts. Why have you chosen to sell your wool in the form you do? I sell in raw, ready to spin, spun and finished item form. I chose these to showcase that Jacob wool can be used for many items. And because not everyone spins, knits or likes the smell of raw wool, no one feels left out from experiencing the greatness of natural fibers and Jacob wool. What is one important thing you have learned about sheep management as it relates to selling their wool? Feeding. Took me a few years, but I have learned where to hang the hay racks during the winter so they don't pull hay down or habit rain on their backs. Because I don't coat my flock, I need to keep them as VM free as I can from shearing to shearing. Pasture feeding 6 months or more a year help with that. I don't coat mine because the horns tear them easy. Or they might get caught on a strap. Also the cost of coats go up because you need a bigger size as the wool grows. BUT coats increase what your wool can be sold for, as it is cleaner and spinners like that. You get out of it what you put in it. If you don't watch their feed, clean burrs from the pasture, don't cut evenly, don't skirt well, don't set the fleece on a clean surface, then you lower the top dollar you could ask for your fleece. And every fleece has value. The heavy VM pits could be set out for birds to build a nest, the poo tags can be used as mulch, second cuts can be stuffing. Wool that is not next-to-skin soft can create bags, coats, rugs, slippers, cushion covers, lap rugs, coasters, potholders, table runners. The list goes on and on and on. This is the first in a series of Q&As with Livestock Conservancy members who raise sheep for wool. The opinions expressed by the shepherds do not necessarily reflect those of The Livestock Conservancy. 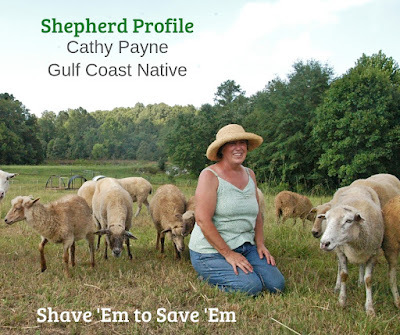 Cynthia Alby has been raising Gulf Coast Native sheep since 2003 on Shangri-Baa in Milledgeville, GA.
Because if you can't use it all yourself, you wouldn't want any to go to waste! I've found that most craftspeople aren't that obsessed about how clean or free of VM fleeces are - it all comes out in the wash! We literally do nothing differently than if we weren't planning on selling the wool. So far we have sold our wool as raw fleece and also as items we make from it such as felted jewelry and dryer balls. Soon we will start experimenting with selling the yarn. When we sell things we make ourselves, it is pretty much pure profit. There is almost no cost associated with making dryer balls and very little cost associated with making felted jewelry or nuno-felted scarves on cheesecloth. These are always where we will have our biggest profits, but they do take time. But if you enjoy making things, then the time component doesn't matter so much. Buy sheep with the best wool possible. Don't skimp on breeding stock! I don't know about other breeds, but Gulf Coast sheep run the gamut from exceptional wool to truly worthless wool. And make sure you have an exceptional shearer! Why do you coat your sheep (or not)? No. We raise Gulf Coast sheep in the south, and they would be uncomfortably warm in coats in May or June when we are waiting for the shearer. Also, one of the premier fiber experts in the nation told me she thinks coats cause sheep to sweat and they also rub the ends of the fibers, both things that decrease the quality of the wool. I was surprised to learn that some experts advise against coating (which is good, because there was no way I was going to do that). You need multiple venues. We've got a website, we're listed in the Conservancy index, we post on fleece for sale Facebook pages, we sell at a local farmers market, and we post on our farm's Facebook page. I probably spend about two hours a month total keeping up with all these and making sure they look good. Learn more about The Livestock Conservancy's new Shave 'Em to Save 'Em program at www.RareWool.org.